Annis O’Sullivan Vollebekk Ltd. (AOV) is a privately-owned, independent, multi-disciplined firm based in Ottawa, Ontario. 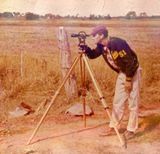 Founded in 1964, with offices in the Ottawa area and Embrun, AOV is a professional land surveying firm offering clientele a wide range of services in topographic, hydrographic, cadastral, geodetic and engineering surveys. AOV also provides a full range of land development consulting services, including severances, subdivision, and condominiums. At AOV, we believe in building strong relationships with clients, employees, partners, and community. We strive to be a leader in our field by embracing the basic principles of respect, reliability, loyalty, accountability and courtesy. The company philosophy has always been “do what we do and do it well…the rest will take care of itself."